Old trucks get in your blood. Having a father that always had an old pickup for running around left a big impression on me. Hauling firewood home from the forest, brush and garbage to the dump, scrounging the back roads looking for parts for his old car – it still brings back good old memories of weekends gone by. My father had bought the truck a bit before I had gotten my license and I’d helped with repairing it – doing some bodywork to it, repairing the cab mounts, fixing the brakes and mirrors, some paint and it was all set to drive. It was pretty basic – Forest green and white, a 300 six, rally wheels, four speed with overdrive, power steering but no power brakes. The truck was mine to drive, as mom had a Toyota 4Runner and dad had a company truck. It wasn’t terribly peppy, fast, or good on fuel, but it was reasonably reliable, given that it was 12 years old. Issues I recall having with it was it would pop out of second gear, it would flood if only driven a short distance, and it would wander all over the road. 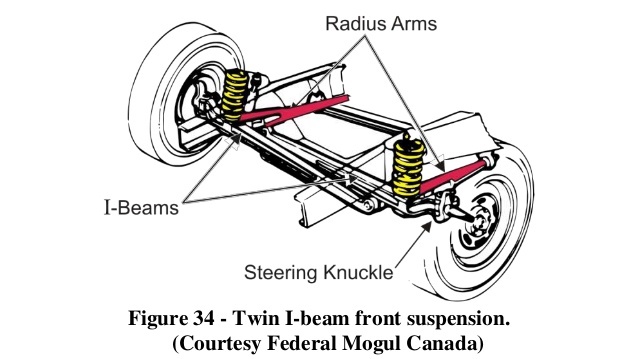 Dad often said that they all drove like that, and it was the nature of the Twin I-beam setup. I don’t know about that – I’ve driven a few and some were, some weren’t. It was probably down to the kingpins and radius arm bushings being worn out. It would do almost 40 KM/H in first gear, and wouldn’t do much more than 120 KM/H or so wide open in 3rd or overdrive. Fuel mileage was dismal as well, 10 gallons didn’t seem to go far. To pay for the fuel and such, I hauled refuse and construction materials from houses and renovations my father’s construction company had on the go. One one occasion, I had the bed full to the top with wood paneling. After crossing some train tracks, I heard a noise scraping on the pavement. A cross member had fallen out of the back, held on by a hair, and was dragging. I pulled it off, and continued home. Upon further inspection, we found that the frame had also cracked on each side where the front spring hangers were at, and the hangers themselves were all that were holding the truck together. The F-100s of this time had many holes placed in the frame. It was supposedly done to make the trucks lighter and better on fuel – but I couldn’t imagine it made much difference. A sturdier frame out of a newer truck was welded in, and the truck was better than it was. I spent a lot of time exploring dirt roads after school – seeing how far I could go before I’d get stuck. One day in early May, I made the mistake of driving too close to the shoulder of the dirt road I was on, and buried the truck up to the bumper on the passenger’s side. A passing bucket truck pulled me out – no harm, no foul. However, shortly after that, I had the itch for something – anything else – so long as it was better on fuel. 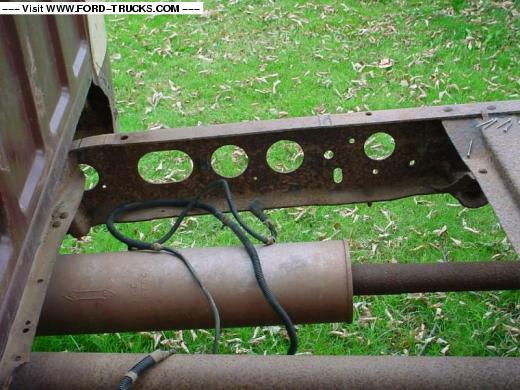 The truck was duly advertised, and a buyer was found. With the money, I found something I could afford, and was better on gas – but was a true penalty box of a vehicle to drive. Ever notice the Direct Connection decal? Oops! 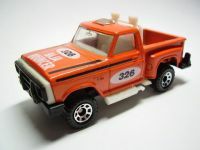 Even though this truck was popular with toy manufacturers, I still like it. Or is that why I like it? Would like to find one with the 6 and 4 speed, but living in Florida it would need factory A/C as well as power brakes and steering. I can’t remember the last time I saw one of these. I still see the very odd one around. They were mechanically solid – if you could keep ahead of rust, I don’t think you could wear the rest out. I’ve never known the kingpins/bushings to be prone to wear in these trucks. 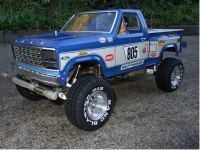 my ’84 F250 had king pins, and they were big beefy hunks of hardened steel, with hard brass/bronze bushings. 300,000+ miles and no play. I’ve always thought the “looseness” of the steering on these trucks was due to 1) the typical sloppy recirculating-ball steering box, and 2) Ford’s use of the Haltenberger steering link design instead of the more typical parallelogram linkage. as it aged I replaced every wear item in the front end of my F250 at once (box, all links, radius arm bushings, etc.) and the steering was “tight” for about a week. then it felt like the typical ’80s Ford truck. But the inverted Y or Haltenberger design is the only thing that will work with the twin I beam and not cause massive bump steer. the 2018 F-250 and 350 4×2 still use Twin I-Beam front ends, and they no longer use the Haltenberger setup. I had a 1989 F-150 Supercab. Once I found the right front end shop and got the truck aligned properly it tracked like a locomotive. There are stretches of interstate in Texas where I could literally drive hands free for three or four miles. Of course I kept my hands poised just in case a wind gust or passing big rig came up. The truck had the 300 cu. in. six and a 5-speed manual (overdrive top gear). I don’t recall the axle ratio but it cruised very comfortably on the highway. I didn’t tow with it but the truck never seemed to have a problem with a full load in the bed. I never could understand why Ford had a “double opera window” on the 1981-1991 SuperCab models (one which didn’t open by the way). Was this the “broughamization” of pickup trucks? In the back of my mind I recall reading about a lawsuits against Ford because of these lightened frames. The swiss cheese design was apparently gone by 1982, so clearly not one of Ford’s better ideas. A place I worked bought one of these for plowing snow. It did not feel nearly as substantial as another one they had from the late 70s. This generation never did much for me until they restyled it in, what, 86-87? These early ones suffered from some awkward styling. I came to really like them by the 90s with a 5.8 and an E4OD. I too had one of these in my fleet as plow truck. Couldn’t kill it. Our mechanic donated it. Would never pass state inspection as he used two four by fours with rachet straps to keep the Swiss cheese frame from buckling and the fuel tank secure. Got us though many a winter. I think it might have been an F-100 thing. Perhaps when they discontinued it, the frames went away too. 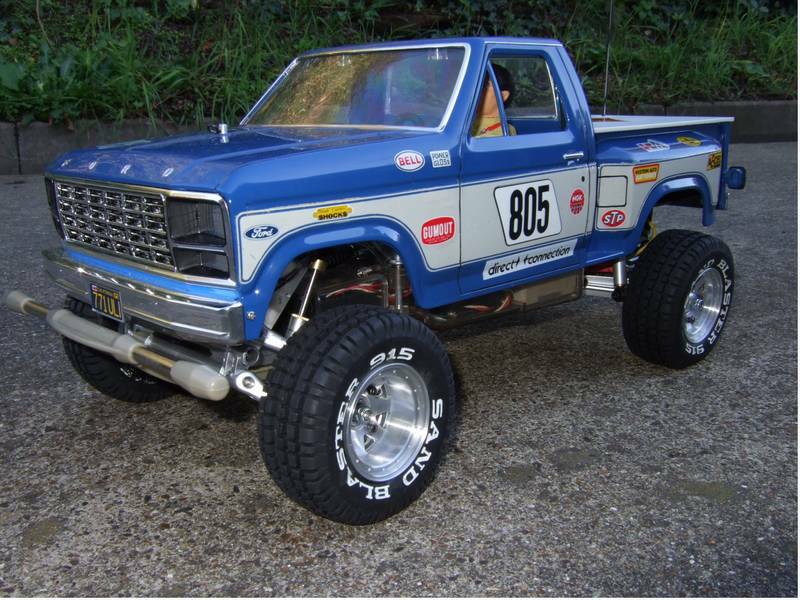 I’ve had an ’87 as well – it was a much, much better truck all around. 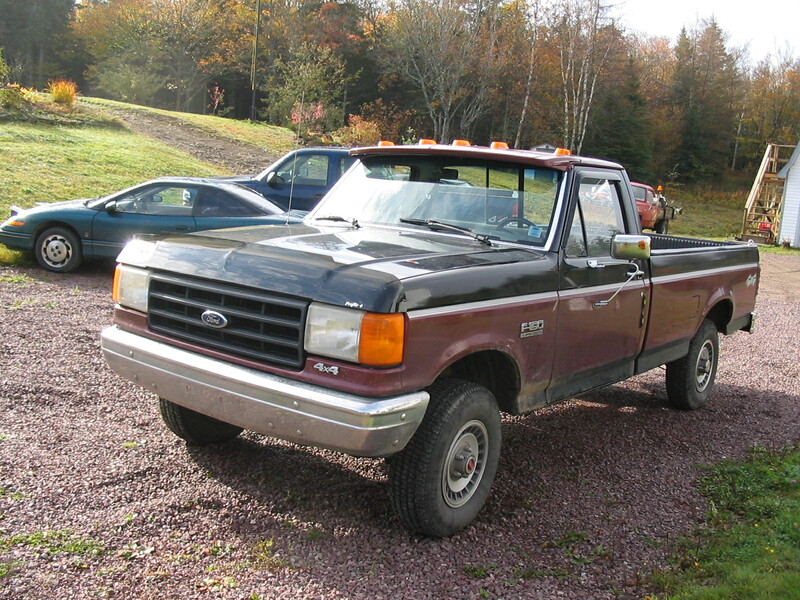 I bought an F 150 new in 1986, the last year of this style. It had an 8 foot bed, 300 6cyl, 4 speed overdrive. The only options were swing out mirrors, headliner and a tachometer. Actually the 4 speed was an option as the 3 on the tree was standard. I put almost 200,000 miles on it before it wore out. It was dead reliable but it did have an appetite for front end parts. I used it in a lot of rough terrain so I’m sure that contributed. It never “wandered all over” unless something was worn out. The Twin I Beam handling only got squirrelly if a bad pot hole was hit at speed. That generation Ford truck is my favorite from the modern era – a beautiful, simple, elegant design. Although step-sides are much less practical, they look lots better if you don’t need a truck to constantly haul stuff for a business. Overall, if I ever get to own another pickup, it’ll be a short bed standard cab. 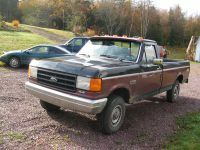 I had an ‘80 F-150 long bed, and I never had any play in the steering, and let me tell you, I wore that truck down, and hard. My high school neighbor had a ‘69 F-100, and it had play all over the place; practically had to spin the steering wheel 180 degrees back and forth to keep it on the highway. One of my hot rod buddies was under my truck and made mention of the “Swiss-cheese” frame, he thought it was a great idea. Never had any frame issues and I hauled 2500+ pounds loads with regularity, even a couple over 4000 pounds. Take that back…I did bend the frame when I plowed (understeered) into a curb one rainy night, but the truck operated fine afterwards. I really need to do a COAL on a few of my rides, this truck in particular; if Paul will let me. He’s probably sick of hearing me rehash time and again about the same ol’ vehicles in the comments. I miss these old stepside(flareside in Ford parlance) with trailer lights so bad in trucks. I know they cut down on utility some, but they’re useful on a tall 4×4 to be able to step up and access the front of the bed, and yes, they look really cool, I’d pick one over a full width shortbed any time. This generation I’m a bit meh about though, the previous dent sides seemed more rugged and substantial(the Swiss cheese frame certainly doesn’t help my view, yikes! ), and the styling effort falls somewhere between the 79 Mustang and 79 LTD. The front end with its “aero” bent corners and the finally matched flareside fenders like the GM stepsides (all prior Fords simply used the 50s fenders) were well done ala Mustang, but the ruler straight lines flank to flank(especially apparent with long beds) and tall blocky greenhouse remind me of the worst aspects of the Panther, and the wheel openings seem too small and low, which looks less obvious on the taller 4×4, but 2WD models seem misproportioned. A friend and co-worker bought a new F100 Stepside in 1980. It was a Custom trim-level in dark blue, a 300 Six, gauge package, and a four-speed OD on floor. No A/C or radio however. Though I never drove it, I rode in it frequently when the two of us made field trips to work at environmental sites. He loved the truck and it served him well for the four years that I worked at the firm. I had an 81 econoline 150 with the 6 and 3 speed with overdrive (4 speed). It had surprisingly good fuel economy for its size on the highway around town not so much. It had the same twin I beam suspension the only flaw being eating front tires every year or two. I would buy new ones for the back and put the back ones on the front. It was one of the cheapest vehicles I have ever owned. Paid $1100 drove it for 110 000 kms and put maybe another $2000 in parts before the transmission packed it in and was not worth fixing due to some body mount issues. It was great for a mobile job site office and for camping with a fold down bed, 2 burner stove and ice box. It made my later vanagon seem like an overpriced unreliable lemon by comparison costing in the neighbourhood of $5000 for 1/2 the mileage although I was able to sell it for more so it wasn’t a complete loss. I remember when these first came out in 1980 they seemed liked a whole new way of making trucks. GM was on their seventh model year of that generation and even though Dodge was only a year older but they had seemed old school even from their 1972 introduction. 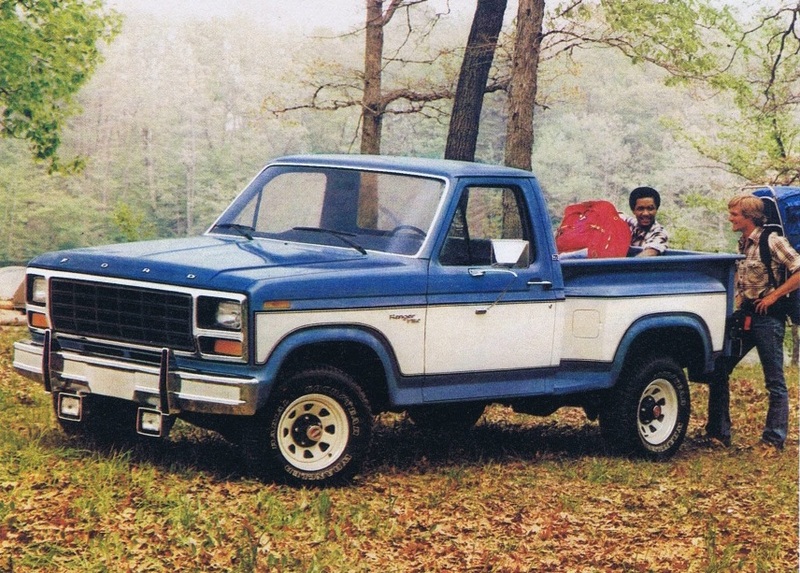 Yes, when this generation of Ford trucks came out in ‘80 they were the “fresh” kid on the block. They were very popular here in north Florida during the 80s, not that Chevy wasn’t, but Chevy didn’t regain a sense of “latest and greatest”, even with the ‘81 refresh, until the ‘88 restyle. Dodge seemed to have a pretty good resurgence with their somewhat more involved ‘81 refresh, but it fizzled out after a few years until their dramatic restyle in ‘94. Ford seemed to be “yesterday’s look” in the mid-90s until they, too, restyled in ‘97; and then introduced their wildly popular Super-Duty in ‘99. I didn’t realise the Custom Stepside was an actual Ford model. But it’s clearly the inspiration for the Matchbox ‘Baja Bouncer’ diecast toy I got around 1983. Man, I loved that toy; still have it somewhere! Enter your email address to subscribe to CC and receive notifications of new posts by email. Jamie on Curbside Classic: 1999 Isuzu Hombre – When is an S-10 Not an S-10? la673 on Weekend Classifieds/QOTD: Five Volkswagens – Which VW Is For You? Copyright 2011 - 2019 Curbside Classics. All Rights Reserved.